Pewter/Cool Gray Cladding 2003 Hyundai Santa Fe GLS 2.7L V6 AWD 4-Speed Automatic with Shiftronic 2.7L V6 MPI DOHC 24V Federal 173hp Recent Oil Change, Full Inspection Completed, Fully Detailed, 2.7L V6 MPI DOHC 24V Federal 173hp, AWD, 4-Wheel Disc Brakes, 6 Speakers, Alloy wheels, Carpeted Floor Mats, Cassette, CD player, Contrasting Tone Bodyside Bumpers, Contrasting Tone Bodyside Cladding, Deluxe Cloth Seat Trim, Driver door bin, Driver vanity mirror, Dual front impact airbags, Dual front side impact airbags, Front anti-roll bar, Front Bucket Seats, Front Center Armrest w/Storage, Front fog lights, Front reading lights, Front Side Airbags, Heated door mirrors, Heated Mirrors, Illuminated entry, Leather Steering Wheel, Leather steering wheel, Monsoon AM/FM Stereo w/CD/Cassette, Overhead console, Panic alarm, Passenger door bin, Passenger vanity mirror, Power Door Locks, Power door mirrors, Premium audio system: Monsoon, Rear seat center armrest, Rear window wiper, Roof Rack Rails, Roof rack: rails only, Security system, Split folding rear seat, Tachometer, Tilt steering wheel, Variably intermittent wipers. .
Silver 2005 Chevrolet Cavalier FWD 4-Speed Automatic with Overdrive 2.2L 4-Cylinder SFI DOHC SFI 16V Recent Oil Change, Full Inspection Completed, 14" Steel Wheels w/Full Wheel Covers, 4 Speakers, Air Conditioning, AM/FM radio, Bumpers: body-color, Cloth Seat Trim, Driver door bin, Dual front impact airbags, Front Bucket Seats, Front Center Armrest, Front wheel independent suspension, Passenger door bin, Power steering, Split folding rear seat, Tachometer. Recent Arrival! 24/34 City/Highway MPG . Dark Blue 2000 Mercury Mountaineer AWD 4-Speed Automatic with Overdrive 5.0L V8 SMPI OHV 16V Federal 215hp Recent Oil Change, Full Inspection Completed, Fully Detailed, 5.0L V8 SMPI OHV 16V Federal 215hp, AWD, 4-Wheel Disc Brakes, ABS brakes, Air Conditioning, Bodyside moldings, Cassette, Cloth Captain's Chairs, Driver door bin, Driver vanity mirror, Dual front impact airbags, Front anti-roll bar, Front Bucket Seats, Front Center Armrest w/Storage, Front fog lights, Front reading lights, Front wheel independent suspension, Illuminated entry, Leather steering wheel, Limited Slip w/3.73 Axle Ratio, Passenger door bin, Passenger vanity mirror, Power door mirrors, Power windows, Rear anti-roll bar, Rear window defroster, Rear window wiper, Roof rack, Speed control, Speed-Sensitive Wipers, Split folding rear seat, Tachometer, Trailer Tow Group, Variably intermittent wipers, Voltmeter. Recent Arrival! . LEATHER**POWER SUN ROOF** MOUNT AND BALANCE 3 TIRES $215.00 FRONT BRAKE REPAIR REPLACE FRONT BRAKE PADS AND ROTORS. PADS AT $172.00 MISC. REPAIR 1 REPLACE CATALYTIC CONVERTER. Alabaster Silver Metallic 2007 Honda Accord EX-L FWD 5-Speed Automatic with Overdrive 2.4L I4 DOHC i-VTEC 16V Recent Oil Change, Full Inspection Completed, Black Leather, 120-Watt AM/FM/6-Disc In-Dash CD Changer, ABS brakes, Alloy wheels, Bodyside moldings, Bumpers: body-color, CD player, Delay-off headlights, Dual front impact airbags, Dual front side impact airbags, Front anti-roll bar, Front dual zone A/C, Heated door mirrors, Occupant sensing airbag, Overhead airbag, Overhead console, Panic alarm, Passenger door bin, Passenger vanity mirror, Power door mirrors, Power moonroof, Rear seat center armrest, Rear window defroster, Security system, Speed control, Tachometer, Telescoping steering wheel, Tilt steering wheel, Variably intermittent wipers. Recent Arrival! 24/34 City/Highway MPG Awards: * 2007 KBB.com Best Resale Value Awards For more information, visit www.kbb.com. Kelley Blue Book is a registered trademark of Kelley Blue Book Co., Inc. .
New Price! Bitter Chocolate Pearl 2010 Nissan Cube 1.8 S FWD CVT 1.8L 4-Cylinder DOHC 16V Recent Oil Change, Full Inspection Completed, Fully Detailed, ONE OWNER, ABS brakes, AM/FM/CD Radio, Brake assist, Bumpers: body-color, Driver door bin, Driver vanity mirror, Dual front impact airbags, Electronic Stability Control, Front anti-roll bar, Front Bucket Seats, Illuminated entry, Low tire pressure warning, MP3 decoder, Panic alarm, Passenger door bin, Passenger vanity mirror, Power door mirrors, Power windows, Radio data system, Rear anti-roll bar, Rear window defroster, Rear window wiper, Remote keyless entry, Security system, Speed control, Split folding rear seat, Steering wheel mounted audio controls, Tachometer, Traction control, Trip computer, Variably intermittent wipers. Recent Arrival! 27/31 City/Highway MPG Awards: * 2010 KBB.com 10 Best New Road Trip Vehicles * 2010 KBB.com Top 10 Coolest New Cars Under $18,000 . All prices exclude tax, title, license, and $349 processing fee. With approved credit. One of each vehicle at price shown. Stock photos for illustrative purposes only. 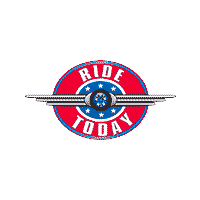 Ride Today Cars	37.327320, -79.988550.